Microgaming have entered the record books once again thanks to their impressive Mega Moolah jackpot slot win and it’s €18,915,872.81 prize. 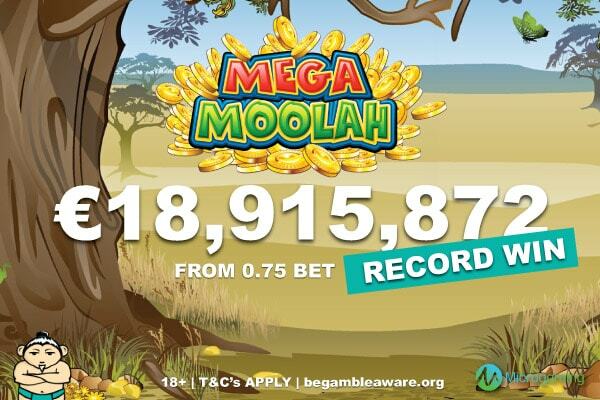 Back in 2015 the Microgaming Mega Moolah slot took the crown away from NetEntertainment’s Mega Fortune and became the Guinness Book of Records holder for the Largest jackpot payout in an online slot machine. That sum was a whopping €17,879,645.12 and this latest win on the 28th September 2018 beats that hands down with an extra 1 million in the bank for the winner at €18,915,872.81. Which takes the total that the Microgaming jackpot network has paid out over the years since it started to an incredible €948 million. That’s almost 1 billion in winnings that this world wide popular casino game developer has paid out to lucky players of their games. We don’t have much information about that actual win itself, cause unlike other jackpot casino games where you have to trigger it by finding scatters or special symbols, this jackpot triggers randomly. Yep that’s right, so anyone who bets as little as 0.25 per spin up to the maximum 6.25 could win this prize. And the winner this time managed to scoop the progressive jackpot prize on a 0.75 euro bet, joining the long list of other Mega Moolah winners. What’s more, from the time they opened up the Mega Moolah game it only took the winner less than 50 spins to get the lucky win. And what a win to celebrate as the winner won’t get their winnings in instalments, they will get it in one lump sum direct to their bank account. What did the guys at Microgaming think of the win? Microgaming have been in the casino industry for decades, they are one of the biggest slots producers in the world and a have big brand names in the books, like Terminator, Jurassic Park and well Bridesmaids. 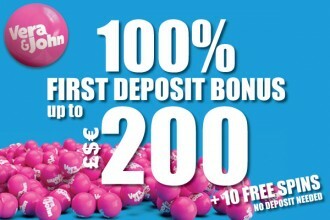 So what did they think when their Mega Moolah slot hit for the 6th time in 12 months. And what a record, it might not be the sums that the Powerball lottery or other lottery style games have produced but in the online slots world this is huge news and it firmly cements Microgaming on top. If you want to find out more in depth details about this millionaire making game then we suggest you read our Mega Moolah slot review. In short, it’s a sunny animal themed slot game with small frequent wins, wilds and free spins. Microgaming suggest that the higher you bet the better your chance of randomly triggering the jackpot wheel is. But with the previous two world record breaking wins with bets of 0.25 and 0.75 they suggest otherwise, meaning anyone can actually win at any time. Which are the best casinos to play Mega Moolah online? You’ll find this jackpot slot at pretty much any casino with Microgaming games. And seeing as any decent casino will offer the Microgaming collection of slots and table games that list is pretty big in itself. But that’s why we’re here. We’ve tested out a whole load of casinos and only pick the best casinos to review here on SlotSumo.com. That’s why if you’re after a casino that will give you the chance to win big then we’ve got it. What is the best Mega Moolah casino? Well, Royal Panda casino of course. Yes the likes of Casumo and Rizk both host this jackpot game, but Royal Panda offers you a generous first deposit bonus and a whole load of other slots and jackpot games to boot. With a rewarding casino loyalty program, a full suite of games from top providers like NetEnt, Play’n GO, NextGen, WMS and more, plus lots of ways to deposit and currencies this a casino we trust to look after their players. Especially as they are also regulated by Malta and the UK Gambling Commission who take their licensing seriously. Why not head to Royal Panda, take a look around and see for yourself what all the fuss is about, and who knows you might just find a new casino site to play at and a few new slot games too.